When I came to Fuqua last year, I never thought that I would end up at Genentech for my summer internship. With a background in consulting and interest in the provider space, I planned to pursue an internship with a local hospital and leverage the Health Sector Management Certificate program to prepare for a career in hospital administration. However, after meeting Genentech at the National Black MBA Conference, I had the unexpected opportunity to interview for its commercial internship program. Within a couple weeks, I had an offer in hand! I was thrilled to have the opportunity to work at such a prominent biotechnology company in a well-respected internship program. I had become more excited about a potential career in biotechnology, so after a few weeks of deliberating, I gladly accepted the offer. I spent my summer in San Francisco in Market Planning, Genentech’s department that is focused on performing market research and long-term forecasting for its nearly 40 products. Specifically, my project was centered on TECENTRIQ, Genentech’s first and only cancer immunotherapy drug. This new class of drugs stimulates a patient’s own immune system to attack cancer cells, and it has been hailed as a “game changer” by many researchers and physicians in this space. I was able to lead a project that would truly impact the success of my product’s launch. My role included collaborating with our team’s marketing counterparts, coordinating with our market research vendor partners, and presenting the results of our research to key product leadership. My manager at Genentech also helped enrich my experience by organizing a field sales ride for me where I was able to spend an entire day with a TECENTRIQ sales representative as she spoke with doctors, nurses, and other clinical staff about the benefits of the product. It was an amazing experience that really brought my project to life. I could tell that Genentech truly valued my summer internship and wanted to provide a stellar experience for all of their MBA interns. I learned this summer that Genentech is home to so many Fuqua alumni. The strong network was welcoming throughout the recruiting process, and I was able to connect with many of them once I arrived on Genentech’s campus. I think the company attracts so many Fuquans because of their similar cultures and values. Like Fuqua, Genentech embraces teamwork, collaboration, ambition, and working for the greater good. It was great to see this type of environment in industry. My internship experience encompassed several ‘firsts’ for my professional career. It was my first time working in the biotechnology space, my first time working in a marketing-related role, and my first time living on the west coast. While I didn’t imagine that I would have chosen this path upon entering business school, I could not imagine a better way to have spent my summer. 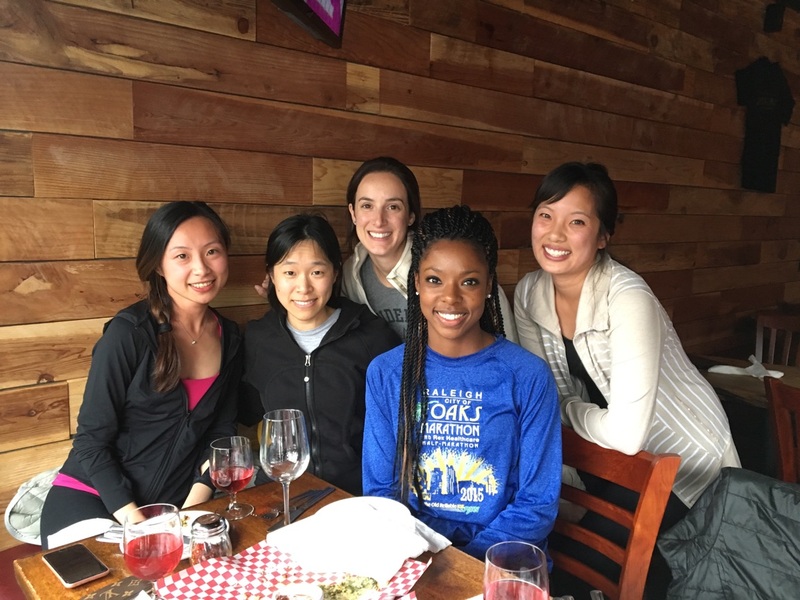 I would encourage prospective business school students to being open to new experiences like the one I had in San Francisco with Genentech. Even though you may have a plan, I would advise everyone to keep an open mind and be willing to explore new opportunities as they present themselves. You never know what may come of it! So now what? I had a great summer at Genentech, but what does that mean for my career post-MBA? While I am fortunate to have several strong post-graduate options, I am still deciding which decision will be the best for me going forward. I am so grateful for my Genentech internship, and I know that my experience from this summer will be extremely valuable going forward, no matter which path I choose.